Alcohol Addiction: How Much Is Too Much? Most of us enjoy a drink at the weekend or a glass of wine with dinner at the end of a busy day. Drinking in moderation won’t do you any harm. But what happens when you start drinking more? And how do you know if you’ve become dependent on alcohol? Many people drink more than recommended weekly intake of alcohol without even realizing. For some, Friday and Saturday nights involve a few drinks and a night on the tiles. For others, alcohol consumption comprises of a glass of wine or a beer after work a few times per week. You may think that a blowout once a week or a single drink each day is fine. But you might be surprised to hear that the recommended weekly intake of alcohol is just 12 units for women and 20 units for men. One unit is equivalent to a single spirit measure or a third of a pint of standard lager. Binge drinking once or twice a year won’t damage you in the long-term. But if you regularly consume too much alcohol, this may contribute to health problems. It may also be indicative of alcohol addiction. If you’re not sure how much you drink, keep a diary or use an app on your phone. If you are drinking too much, this doesn’t necessarily mean that you’re an alcoholic. You may be able to cut down very easily. But it’s good to keep track of your drinking habits. If you’re worried about how much you drink, your doctor can help. It can be difficult to define alcohol addiction. When you’re addicted, your relationship with alcohol may change. It may go from something you enjoy to something you need. Do you crave alcohol or worry when you don’t know where the next drink is coming from? Has alcohol become a coping mechanism? Do you turn to drink if you’ve had a bad day or you need cheering up? Have you been drinking more recently? As your body becomes used to alcohol, you may find that you have to consume more to get the same effects. Addictions are consuming illnesses. If you’re an alcoholic, you may find that you put alcohol before other things. Are you putting your employment status at risk by drinking before work? Are you placing strain on your relationships with others? Are you more concerned with drinking than with the effects on your health? Alcohol addiction can be very serious. When you drink alcohol, it has profound effects on you in the short and long-term. Drinking affects your judgment and reaction times. It increases the risk of serious accidents and elevates the chances of life-threatening illnesses. Excessive drinking is particularly harmful to your liver. It may cause cirrhosis, liver cancer, and liver failure. If you’re worried about how much you drink, arrange to see your doctor. They can carry out assessments to determine the severity of your addiction and discuss treatment options. 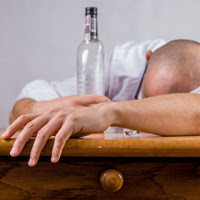 Alcohol rehab may be recommended in severe cases. Other options may include psychological therapies, medication to control withdrawal symptoms, and abstinence. If you think you drink too much, don’t be afraid to ask for help. The sooner you recognize the signs of addiction, the better. Some of the top German tutor in Jaipur and German Classes Online Jaipur click now.